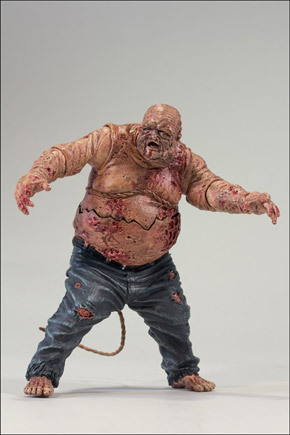 Hey everyone, I hope you all are having a great weekend and enjoyed your screening of Dredd 3D. I just got back from an amazing trip to Chicago with the family. It was a great time in a great city. There has been no shortage of interesting news these past two week so I’m going to try and get through as much as possible as quickly as possible. So sit back relax and enjoy the latest installment of The Impact. 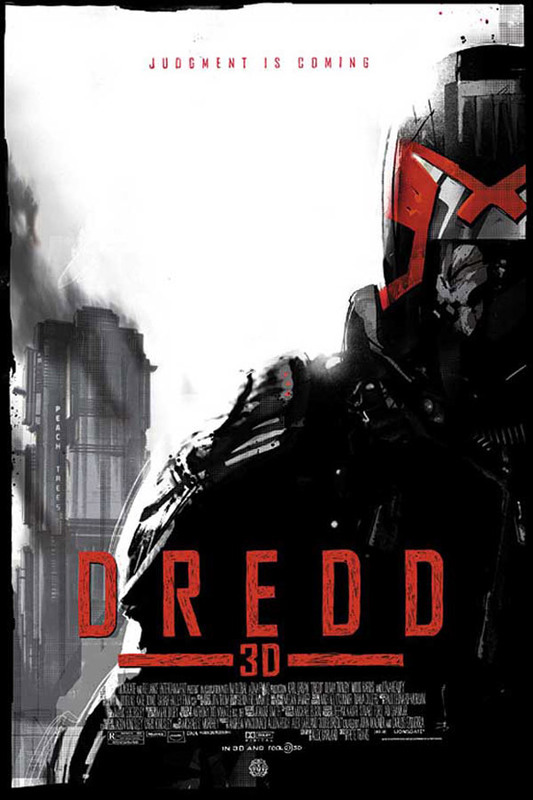 Mondo Reveals Their Exclusive Dredd 3D Poster By Jock. Okay this is awesome. This week Mondo revealed this awesome poster for Dredd 3D by the always amazing Jock. Mondo, who always puts out some truly fantastic posters that are never easy to come by since they are so fantastic, if you blink you miss them because they sell out so quickly. This poster will be available at Friday’s Fantastic Fest screenings courtesy of Entertainment Weekly. Good luck Dredd fans, I hope you enjoy the movie. Check Out the Latest Trailer to Injustice: Gods Amongst Men. Check out the latest look at Injustice: Gods Amongst Men which debuted this week at the Tokyo Game Show in Japan. Not going to lie, when this game was first announced I was fairly skeptical but the more I am seeing the more intrigued I am. In this latest trailer for the DC Comics brawler we get a better sense of the combat in the game along with the pleasant surprise that the Batman himself, Kevin Conroy will be voicing the caped crusader. Injustice: Gods Amongst Men debuts on the Xbox 360, PlayStation 3 and Wii U in April of 2013. 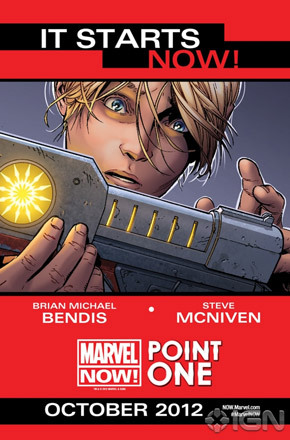 Marvel Releases a Slew of New Point One Promos. To help guide us into the new Marvel Now! 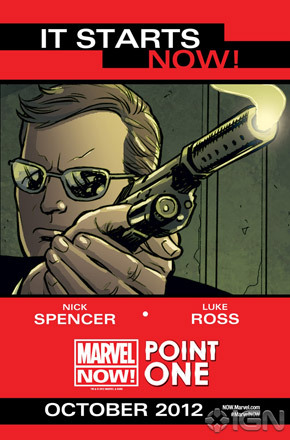 Marvel will be releasing a new Point One special. This week they released a slew of brand new teasers to let us know what is in store for the special and possibly several new titles we had not heard about before. 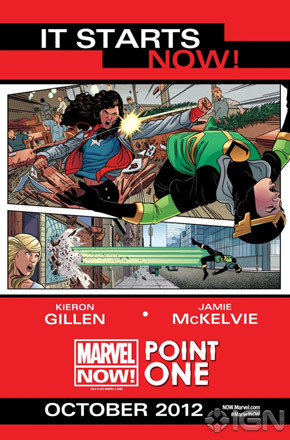 One of the more exciting images revealed Kieron Gillen and Jamie McKelvie working on a Young Avengers story. It’s always good to see the Phonogram team getting back together. 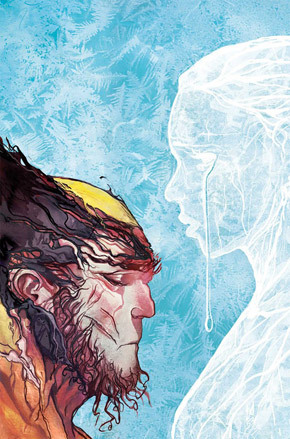 Marvel Solicitations Reveal the End of Amazing Spider-Man, Wolverine, and Captain America Team-Up. 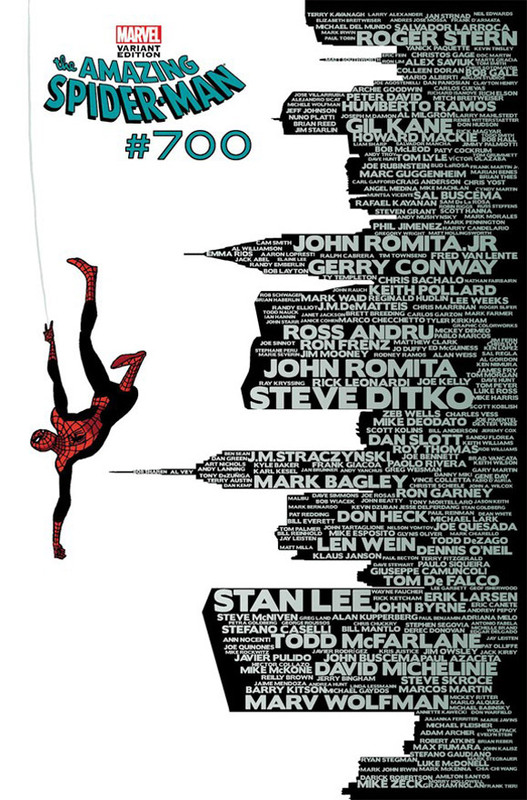 This week we saw the December solicitations and with it we learned that Amazing Spider-Man would be ending with issue 700. 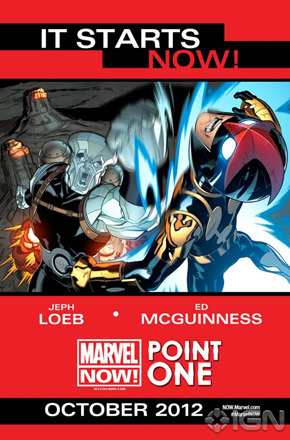 The issue will be over 100 pages and feature the creative team of Dan Slott and Humberto Ramos. Fear not Spidey fans I believe that Amazing Spider-Man will return with a new number one and it will be integrated into Marvel Now! initiative. I also believe the same for Wolverine. I for one am hoping that Slott will remain on Amazing once it makes it’s inevitable return. 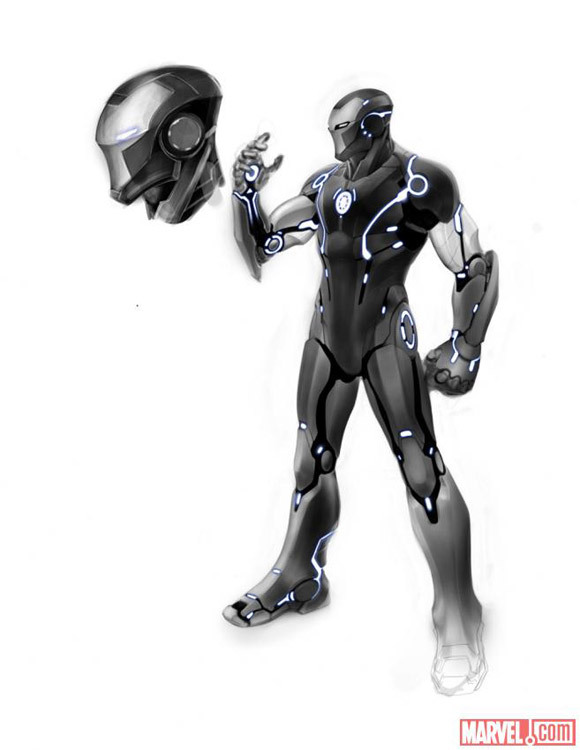 Kieron Gillen and Greg Land will be expanding Tony Stark’s hall of armors when they take over Iron Manthis October. 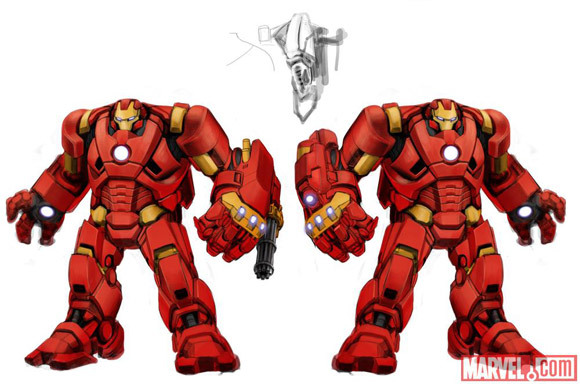 This week Gillen gave us our first look at Tony’s latest stealth armor and heavy duty battle suit. Designed by Carlo Pagulayan each suit looks very slick, I am really digging the heavy duty suit. 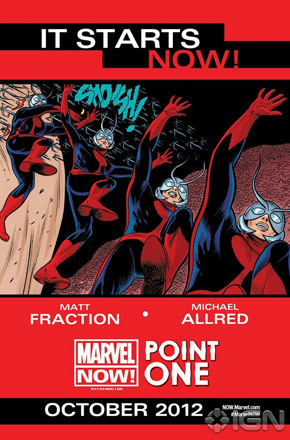 Two New Marvel Now X-Force Titles Revealed. I am a huge fan of “man on the run books” so I will give this one a shot when it is released this December. 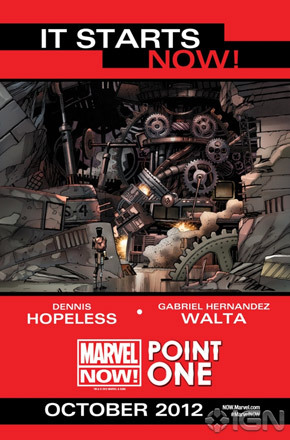 The second X-Force book will be Uncanny X-Force by the team of Sam Humphries and Ron Garney. Talking to Comics Alliance Humphries promised “I’m going to write it like I stole it.” The team, which will consist largely of Psylocke, Storm, Puck and Spiral, and a few more characters joining the group in the first few issues. Uncanny X-Force hits stands this January. 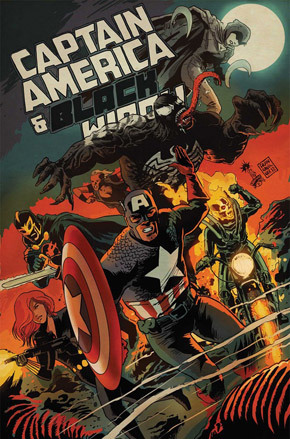 Sam has been having a very busy week between this and the major press storm surrounding Ultimate Comics Ultimates #15 and #16 which features Captain America being elected President of the United States as a write in candidate. Avengers Arena Capitalizes on Hunger Games and Battle Royale Love. Arcade has spent a lot of years building “Murder Worlds” that yield very few actual murders. He’s decided it’s time to get back a little self-respect. It’s time for a new kind of Murder World. AVENGERS ARENA is about the unlucky kids he’s chosen to help him try it out. I don’t want to give too much away, but I can promise a lot of murder in this new Murder World. This December Daniel Way and Steve Dillon Team Up on the All New Thunderbolts. Now we know what that Lightning teaser was all about. Daniel Way and Steve Dillon will be reuniting on an all new Thunderboltsbook. Lead by the Red Hulk the team will be comprised of Elektra, Deadpool, Venom and The Punisher. 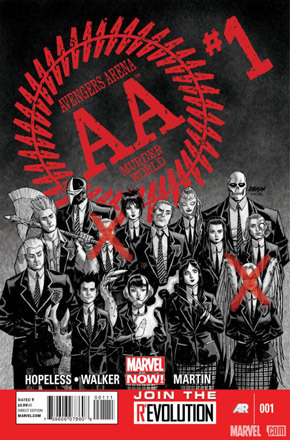 Talking to Newsarama Way insists that this is not the Thunderbolts of old. “This is also not a covert ops team. When the Thunderbolts hit a target, they’ll do so in the loudest way possible.” “They are the consequence of evil deeds, pure and simple.” Thunderbolts hits stands this December. James Gunn Confirmed for Guardians of the Galaxy. This week on his Facebook page writer and director James Gunn confirmed that he is indeed rewriting the script and directing Marvel’s Guardians of the Galaxy. Gunn is a very interesting choice and I think he is quite ideal to handle the material… I do want to take a moment to reiterate that folks in two years we are going to see Rocket Raccoon on the big screen. This is happening people!!! The Latest Clip From The Dark Knight Returns Part One is My Favorite. With Batman: The Dark Knight Returns Part One coming out next week on Blu-Ray (….or you can watch it now on iTunes) the promotional machine is in full swing. The latest clip to hit the internet features the first night Bruce returns to the cape and cowl. The more I hear the more I really like Peter Weller’s performance. I can not wait to watch my Blu-Ray next week. Batman: The Dark Knight Returns Part One hits stores September 25th. 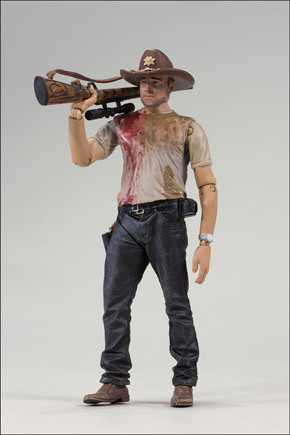 McFarlane Toys Reveals It’s Second Wave of Walking Dead Action Figures. 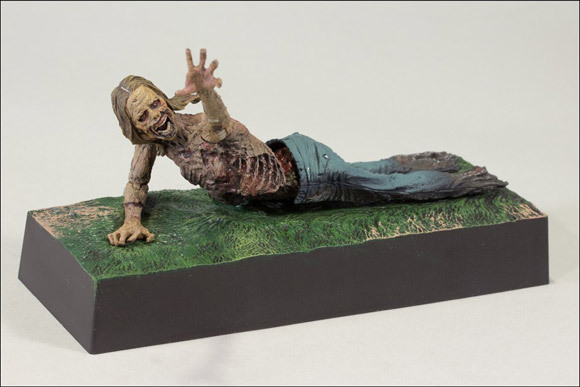 This week we got our first and best look at McFarlane Toys latest Walking Dead Figures. 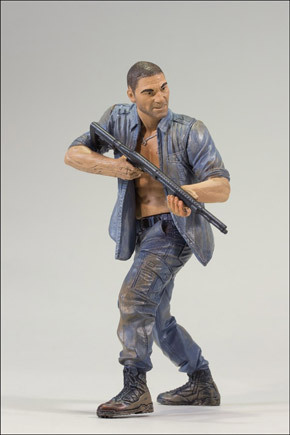 Based on the AMC television series which is based on Robert Kirkman’s Skybound series we get an all new Deputy Rick Grimes, Shane Walsh, Bicycle Girl Zombie, Well Zombie (with break apart action), and RV Zombie. Well there you have it folks. 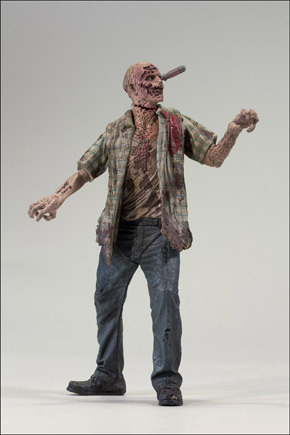 It’s been a very busy and exciting two weeks in the comic world and with NYCC closing in fast it will only get better. Stay tuned for next week’s all new and exciting installment of The Impact.